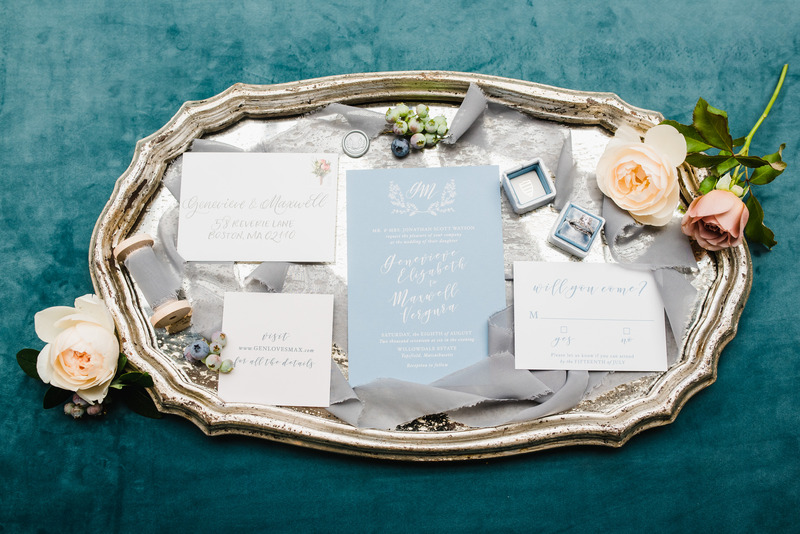 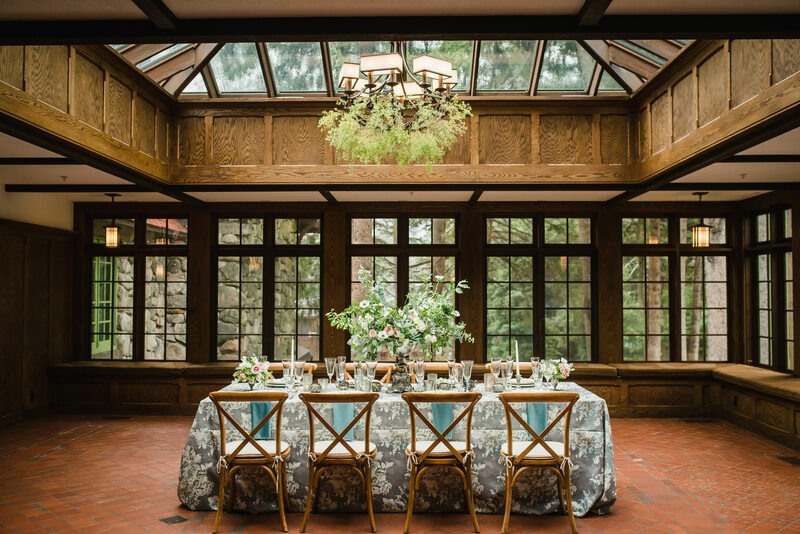 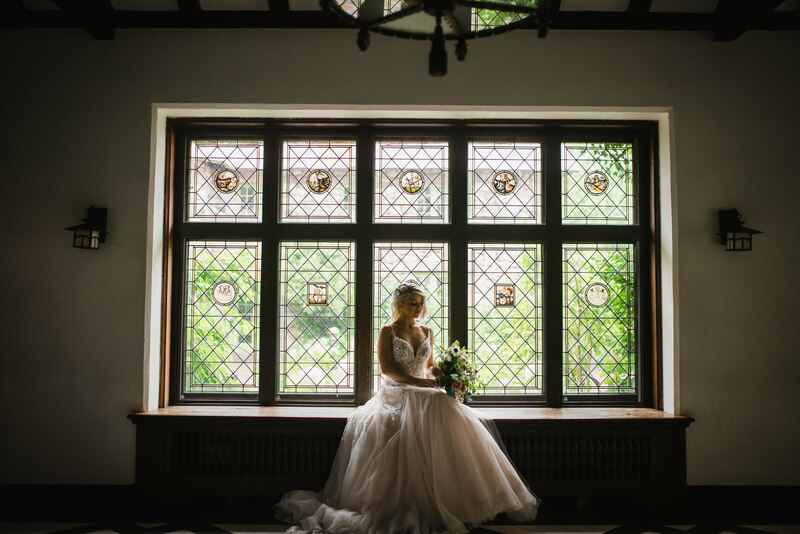 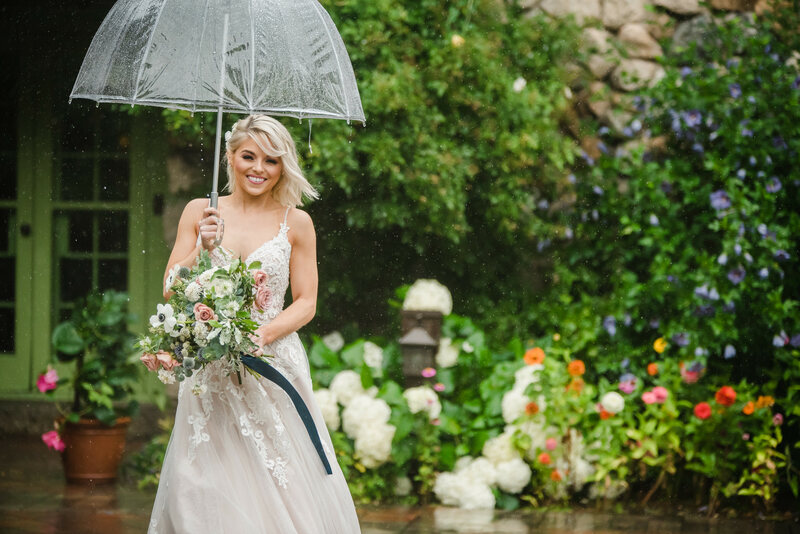 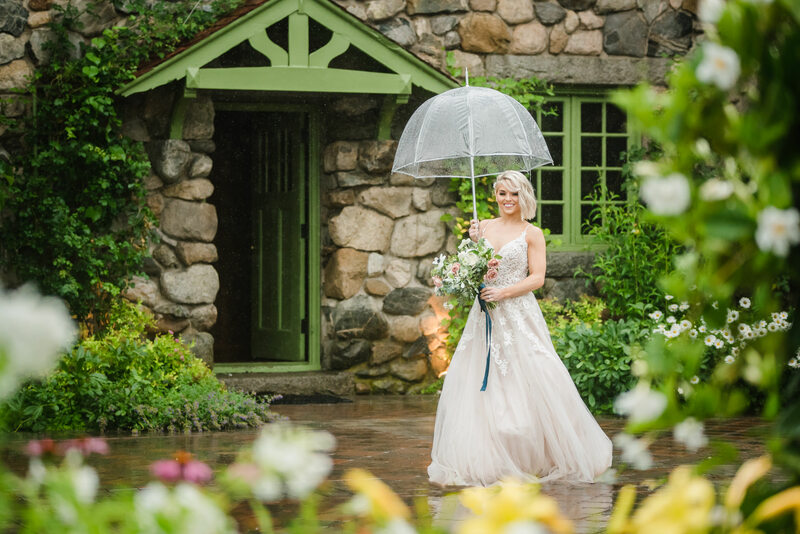 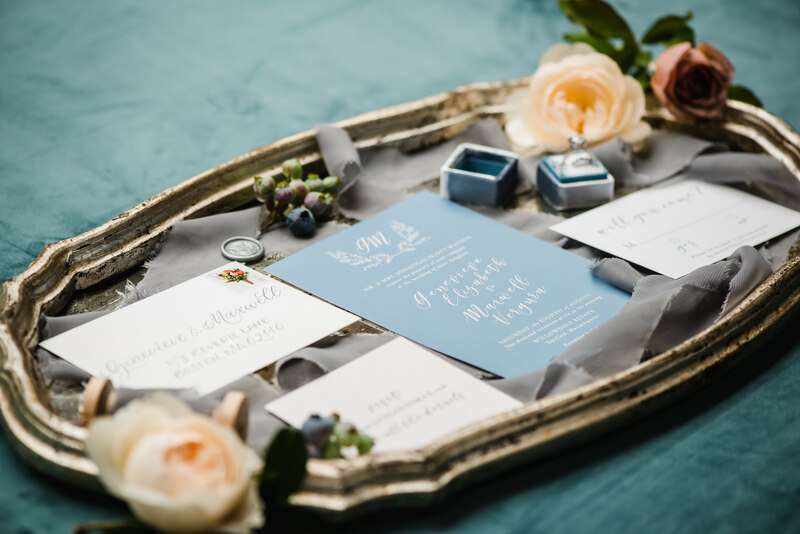 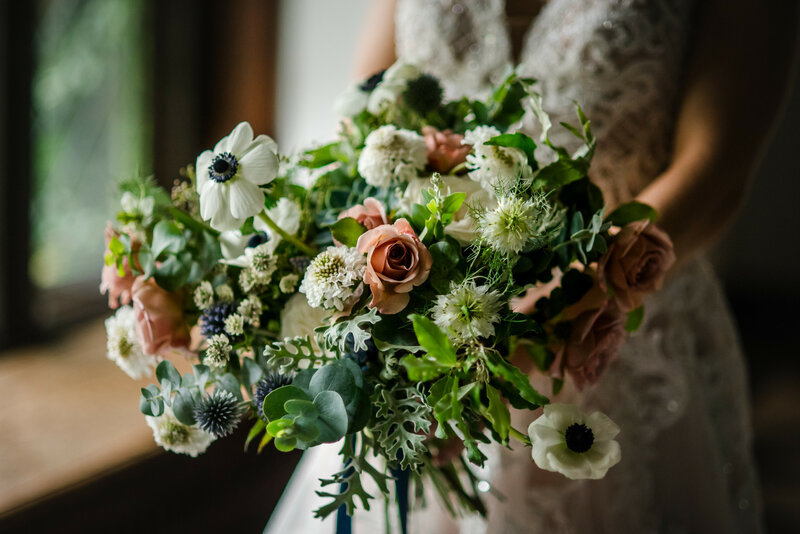 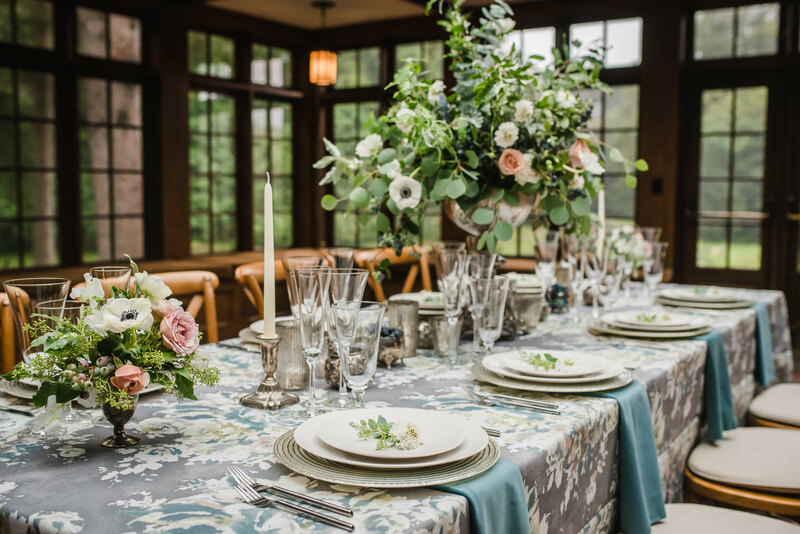 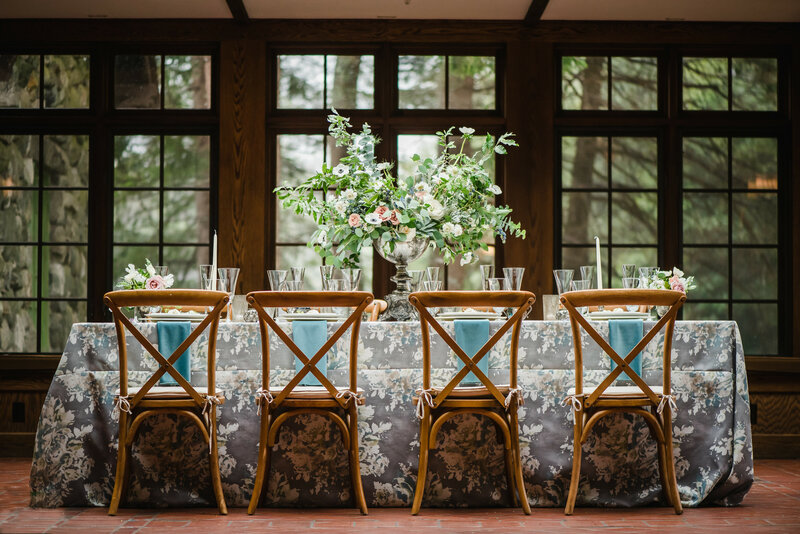 The design for this editorial shoot was inspired by our love for timelessly romantic and organic florals and the charm of historic architecture at Willowdale Estate. 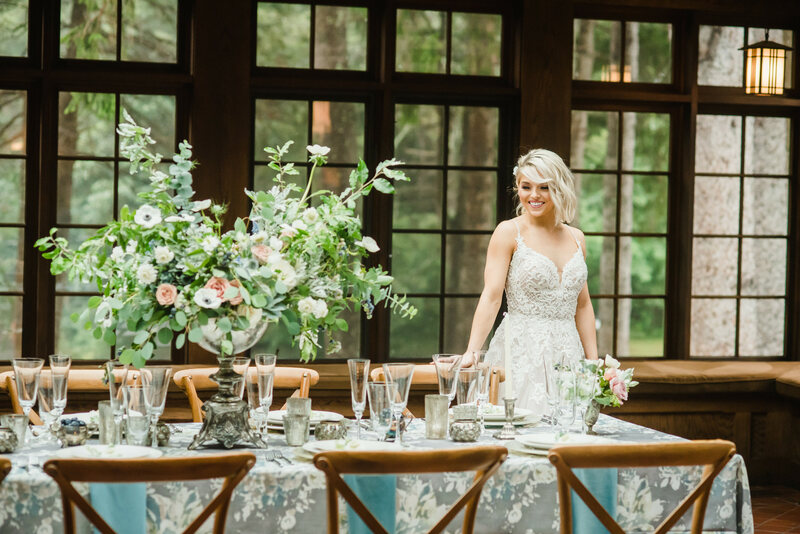 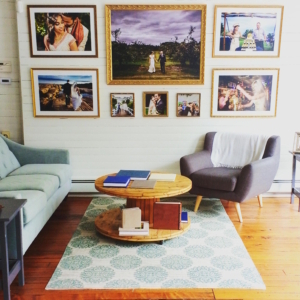 We collaborated with the talented Misty with Nectar Floral Design to create a feminine, timeless and romantic setting. 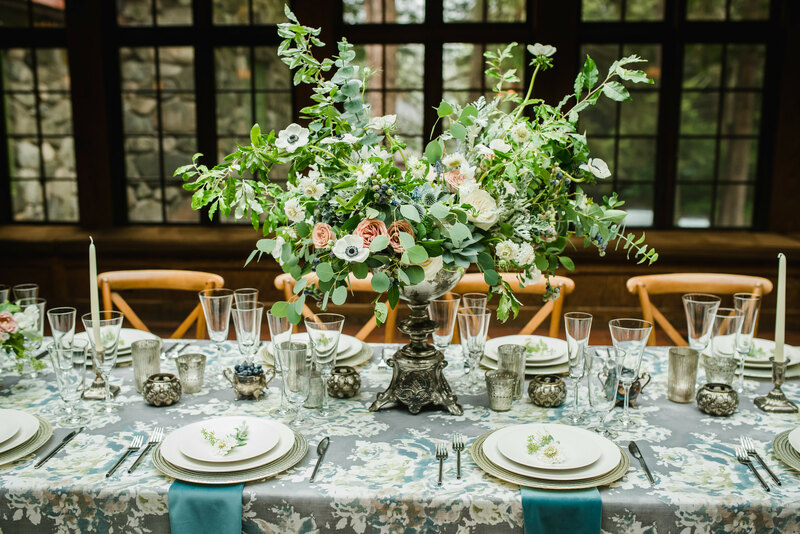 From the textural greenery hanging from the chandelier, lush and elegant centerpiece and tabletop details, to the soft bouquet – Misty designed soft and fresh floral designs using a blend of soft blush, dusty blue and muted grey and mauve tones. 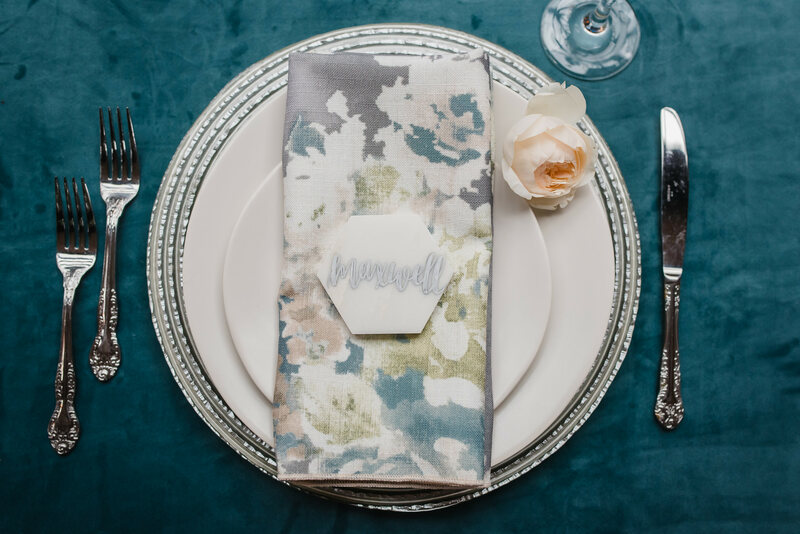 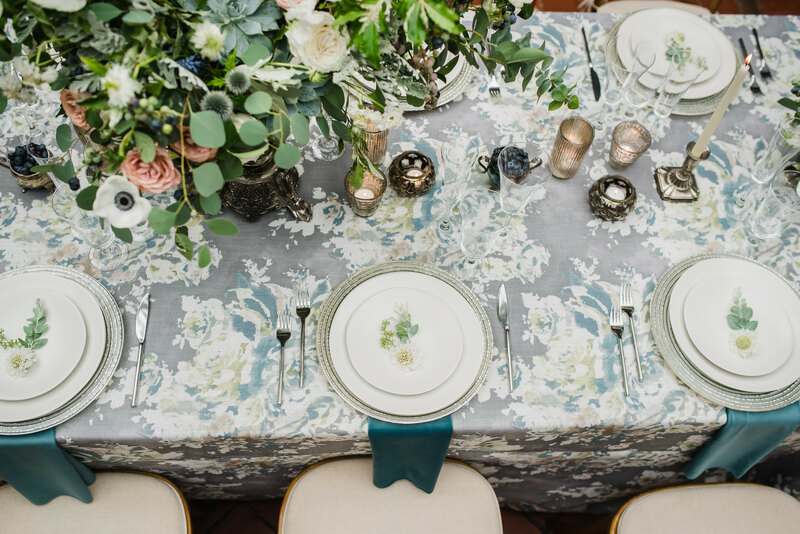 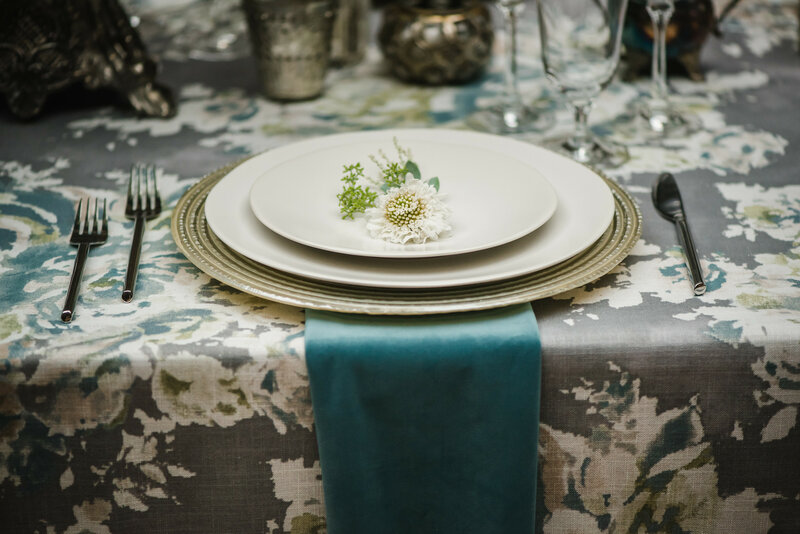 The tablescape was complete with BBJ Linen’s recently launched ‘Flint Cora’ linen paired with their ‘Artic Velvet’ napkins and Boston Rustic Wedding Rental’s Crossback Chairs. 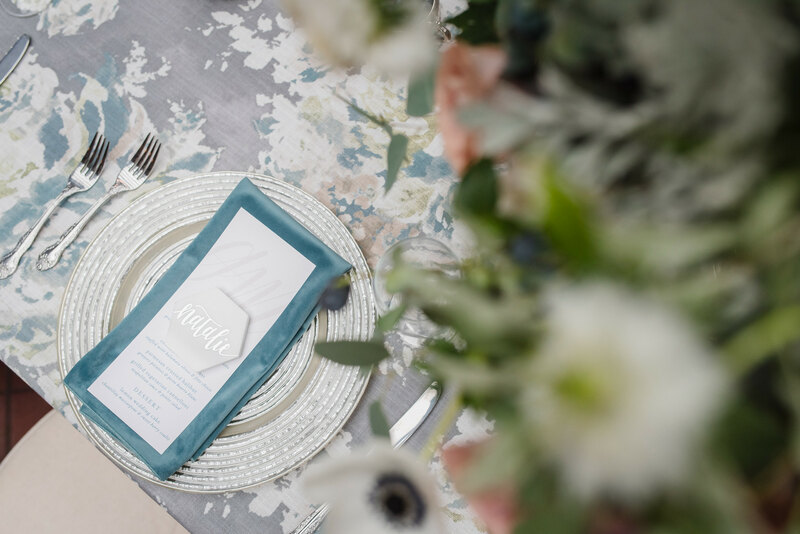 Specialty table top items from Kadeema Rentals paired with delicate paper materials designed by Roseville Designs and modern custom marble place card accents created by Antea Amoroso helped us to bring the table to life. 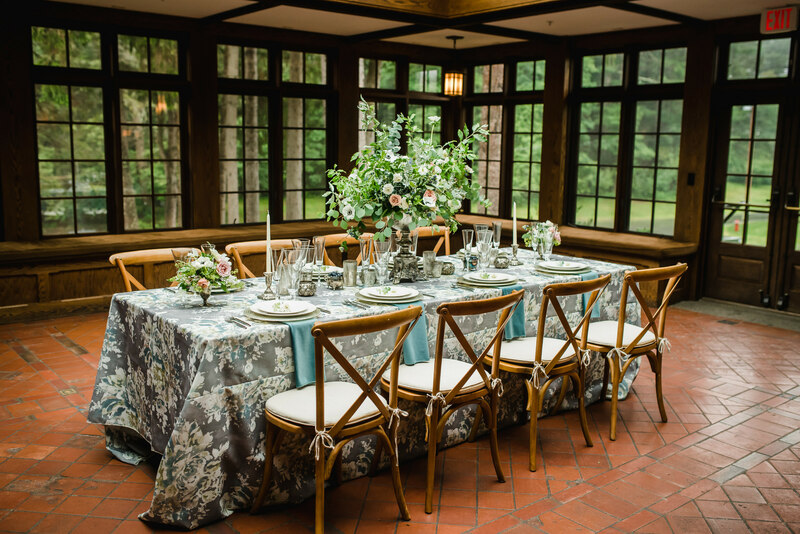 For our sweetheart table, we used the estate’s window ledges to create a nook, filled with custom pillows by BBJ Linen and rich velvet linen. 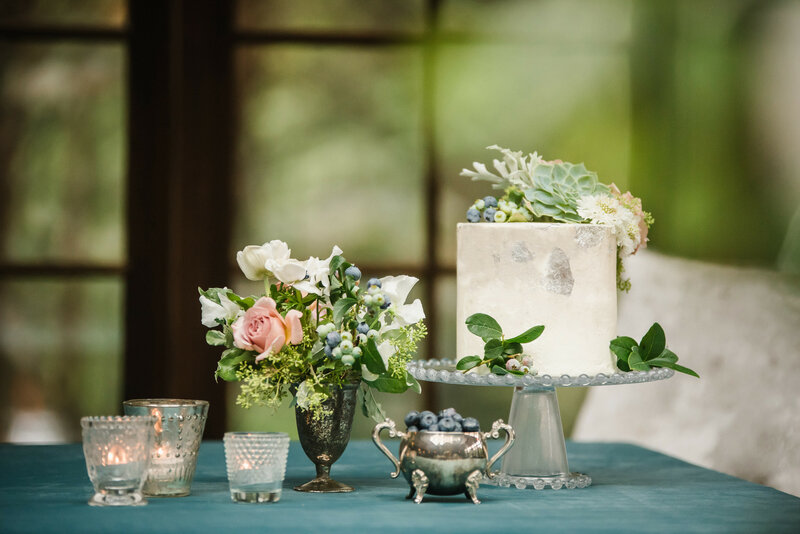 Jenny’s Wedding Cake’s designed a sophisticated and modern wedding cake with silver metallic leaf accents. 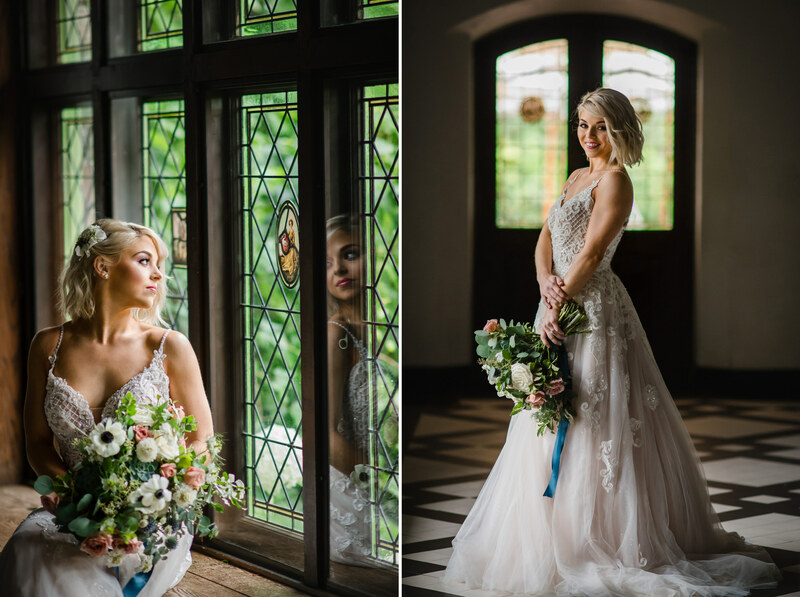 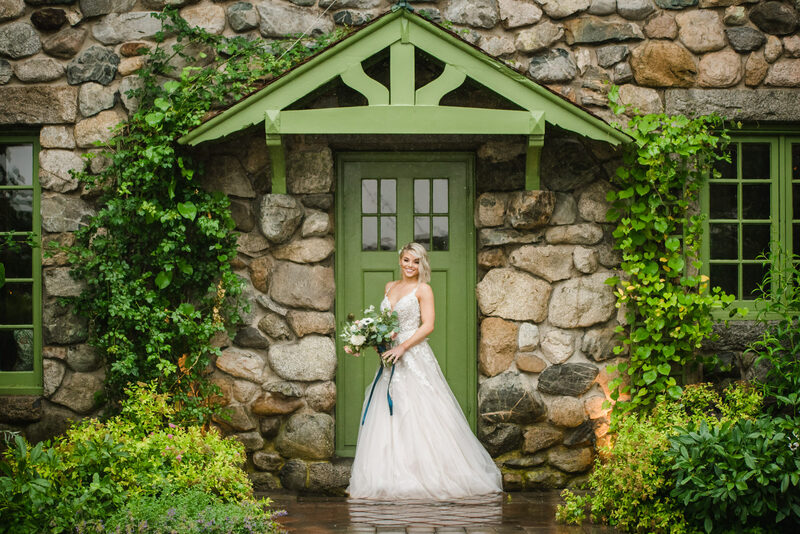 Our model, Mazie, looked stunning in her Essence of Australia gown from Bella Sera Bridal. 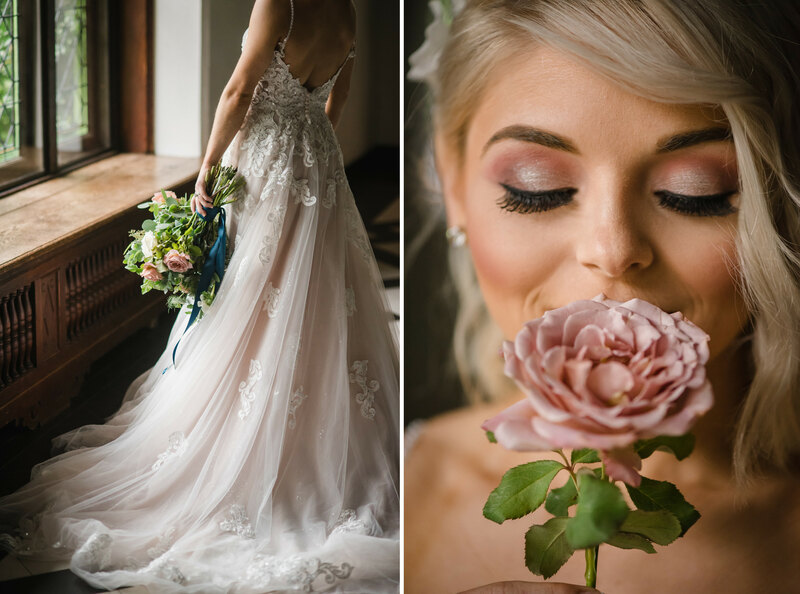 The gown’s gentle ivory lace, blush tulle and textural beading offered a soft and sophisticated look, with a touch of drama. 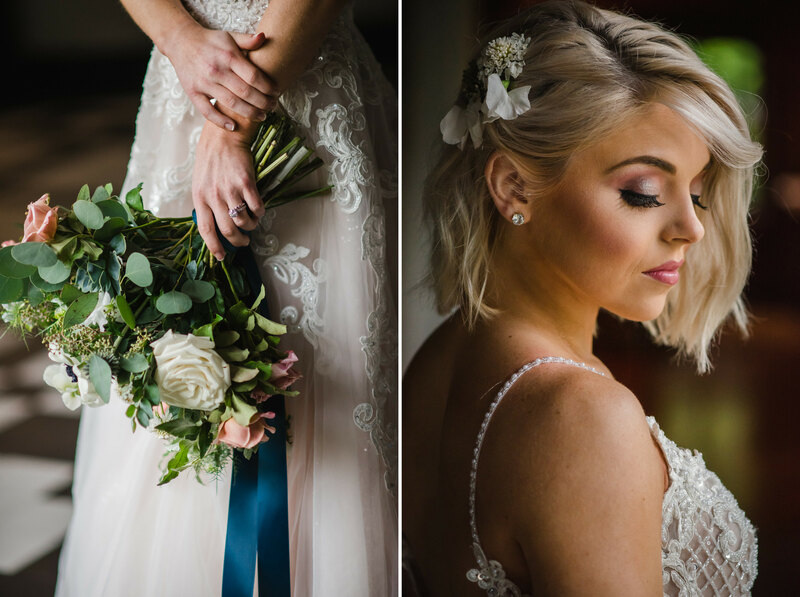 Mia Carbone Hair and Makeup by Christina Gallardo did a flawless job of delicately styling our model for an effortless and romantic look. 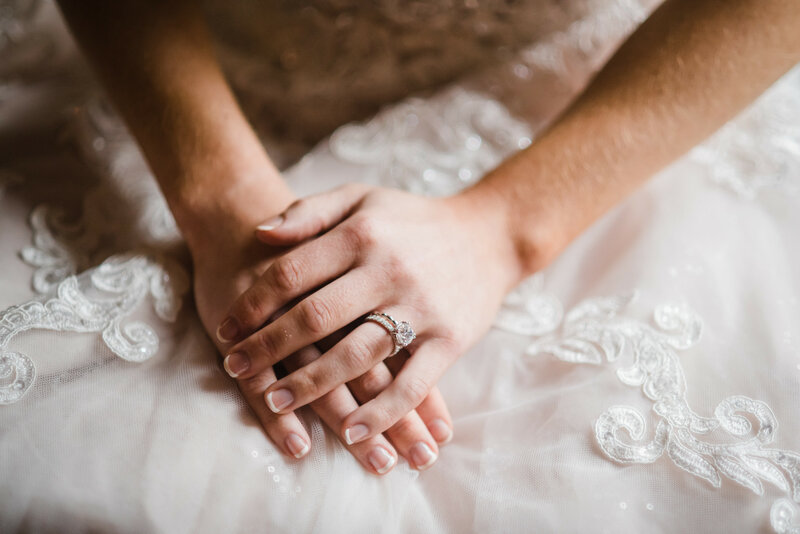 Custom made jewelry and engagement ring designed by Dugan Custom Jewelers were the perfect final touches for our bridal look.